Been disappointed with compact powered subs in the past? 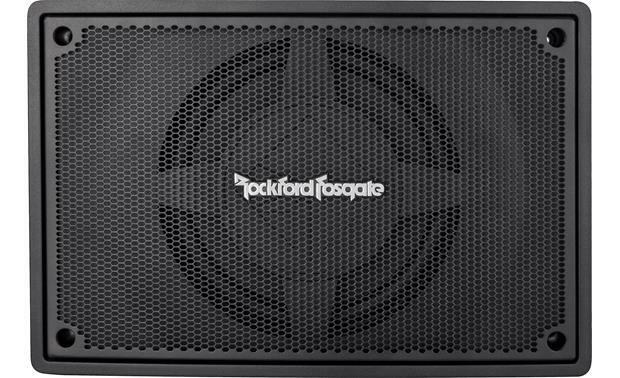 Rockford Fosgate brings you a space-saving powered subwoofer with some serious kick. The Punch Series PS-8 houses a high-performance 8" shallow-mount sub and a 150-watt Class D amplifier in a compact enclosure, a perfect match for compact cars, trucks, SUVs, and anywhere else you want Rockford Fosgate's signature sound in a limited space. You'll find the controls you need to tune this powered sub to fit your system. The PS-8 features a comprehensive set of controls for getting the bass right in your vehicle, including an adjustable low-pass crossover, onboard Punch EQ control, and a selectable phase control that gets this sub firing in concert with the rest of your speakers. You can select from three different turn-on modes, and the wired remote control allows you to adjust the bass from the front seat. And the PS-8 also includes all the wiring and mounting hardware you'll need to install it. Maybe a ridiculous question, but does this come with a fuse installed or do I need to purchase one? 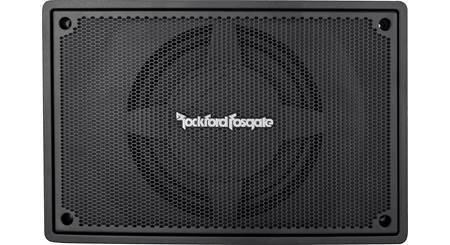 Overview: The Rockford Fosgate Punch PS-8 is an all-in-one bass solution featuring an 8" woofer in a cast aluminum enclosure and a built-in 150 watt RMS amplifier. Closed-Loop Design: The closed-loop design allows Rockford Fosgate to build the woofer, amplifier, and enclosure as a single system, optimizing each element for the best possible performance with the others. CEA-2031 and CEA-2006 Compliant: The subwoofer's power handling and the amplifier's power output conform to CEA industry standards, allowing consumers to make an apples-to-apples comparison between the PS-8 and other powered subwoofers bearing the CEA-2031 and CEA-2006 logos. Integrated Amplifier: The 8" woofer is powered by a built-in Class-D amplifier rated at 150 watts RMS. Quick Disconnect Power/Ground: The power, ground, and remote turn-on wires attach to a quick disconnect terminal block, so the subwoofer can be easily removed when you need more storage space. Each terminal is a set screw clamp and will accept up to 10 gauge wire. Audio Inputs: The amplifier section will accept either a line level (RCA) or speaker level signal. The included 12" input harness has a Molex plug on one end and female stereo RCA jacks on the other. When using a speaker level input, cut the RCA jacks off and splice into the remaining wires. Adjust the Input Level switch to match your input type, High for speaker level input or Low for line level (RCA) input. Note: When the DC Offset or Audio setting, the REM terminal becomes a 12 volt output, for turning an additional amplifier on. Crossover: The 12 db/oct low-pass crossover is always engaged; the crossover point is adjustable from 50 to 120 Hz. 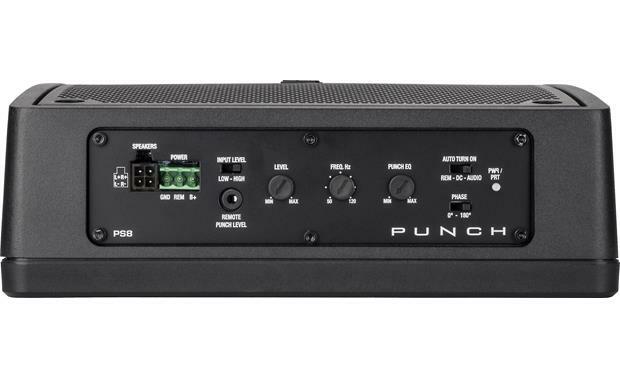 Punch EQ: Use the rotary dial to adjust the bass boost; continuously variable from 0 to +12 dB, centered at 45 Hz. Protection Circuit: The PS-8's amplifier is equipped with thermal overload, short circuit, and reverse polarity protection. The amplifier will shut down if any of these situations is encountered. Remote Punch Level: A wired Punch Level Control is included so you can adjust the output level from the driver's seat. The remote has a bracket to mount it under the dash. The included 15' cable, with a 3.5mm mini-plug on each end, connects the remote to the subwoofer. Note: The Punch Level Control measures approximately 2-3/8" wide x 1" high x 2" deep (3-1/2" deep including the knob and cable). Can you hook this up to a 2018 Nissan Titan Rockford Fosgate stock system? Yes, it will work fine. Just needs power and source input. You should be able to grab the rear speaker wires for the inputs. Yes this unit has line level inputs so you can hook to speaker outputs on stock system. Will this work with my factory alpine system in my 2012 ram 1500? Yes, it has both low level and speaker inputs. I tapped into the rear speakers on my F150, through the wiring harness, and it works great. Different genres of music will need to be adjusted for the bass outputs, but that is easy with the wired remote. I found the wiring harness colors for the rear speakers on the internet. As long as you have one sub out rca then yes. This depends on your harness. I used a splitter to keep my stock sub in the loop. This sub is very good at getting the low frequencies that stock just doesn't touch. Can you use one bass controller for two of these? I do not have a concrete answer on that. I would venture to say that if you bridge the two amps your bridging your power. Each amp would provide the sound that you dial into it on the side panel. I'm almost positive that each remote bass boost link would function independently. Rockford is awesome at answering specific questions like that, so I've heard from my friends that run a more complex system than what I have. I'm trying to install this on the back panel (sideways)on my 1994 f150 and this doesn't come with a sub mount or straps to keep it secure. Any recommendations on how to properly mount this sub? i mounted mine to a piece of a wooden shelf and then bolted the wood panel to the floor. you could do the same thing or screw the panel to the back sheet metal. Can these fit under my backseats in my 2002 Jeep Grand Cherokee? I have no idea. I do know that it will not fit under my 2009 Subaru Outback seats. I believe the thickness of the unit is listed at 2-7/8 inches. I suggest measuring something and cutting it to that length (e.g. pen, stick, match, etc) and then seeing if the object will stand upright under your Jeep seats. If you've got six inches to spare then these should fit quite nicely. If my Kenwood head unit has subwoofer level control would I need to use the "PLC" level control that comes with it? 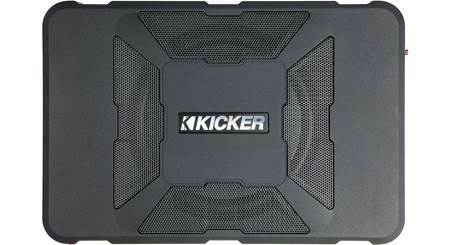 I'm pretty sure you can used and is goto be increased the power a lot on your subwoofer, that's results I have on my previous pioneer DVD head unit on my Nissan, has a small subwoofer and the power was increased almost twice as I have before, I have to mention to have to replace the speakers on the doors. A fuse is supplied with this you do not need an additional installation kit. Yes it did include the fuse in the fuse holder. I would purchase one, I did. Fuse is included and already installed. So far happy with this product! Has anyone installed this in a jeep cj? We installed ours in a '91 Chevrolet 1500 pickup. Having absolutely no clue what we needed to order to make it fit we solely relied on Crutchfield's team of experts. Received the order with instructions and everything fit as promised. Have shopped here a few times just because of the expertise of their customer support. How easy is removal? Want to install in a Chevy Avalanche under back seat. However if I need to lower the midgate, think I may need to temporary remove from time to time. Once all the wires are run, can I simply unplug everything to remove, and then re-hook up when done? Should be pretty easy to remove, even if you run speaker wires instead of aux cables, there is an adapter with an plug in for easy removal. I just got this sub this week had it installed and it worked great until I drove up to my home. I got it installed at about 7000 ft and I live at 8500 ft. When I drive back to my house it starts rattling really bad. Then when I get home and leave my car off for awhile it works fine after that. I have had all the wires checked and still no resolution as to what it maybe. Any ideas here? 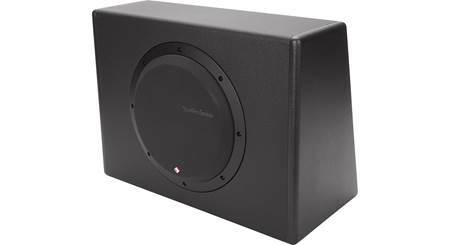 Do subwoofer amps use a different rating standard? Asking because I see this unit has a 10 amp fuse but is rated at 150 watts RMS. How is that even possible when V x A = W ? At an overly optimistic 14.4 volt power source (13.8 volts typically) that yields a max of 144 watts at 100% efficiency. More typically at 13.8 volts and 80% efficiency it's a 110 watt output. I actually have one of these and it works and sounds great but it not a 150 watt amp. 100% efficiency isn't possible. I owned one and blew it's circuitry by asking "too much". Not just a own fuse. It's actual audible "crossover is nowhere near the low it professed. My head unit only has one sub preamp output. 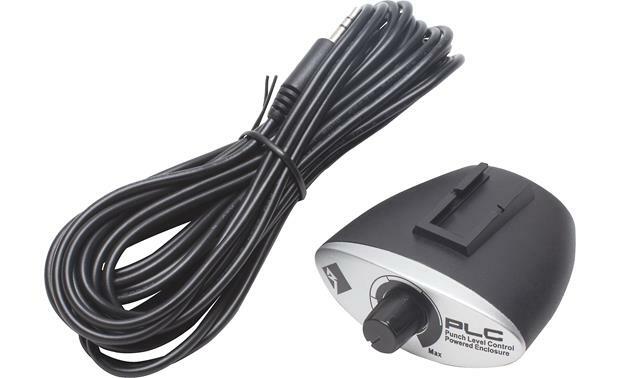 Is this something I can use a Y-adapter for with the PS-8 without sacrificing any sound quality? Hello Eric, it sounds to me like you want to hook up more than one subwoofer amp off your head unit?? I'm confused about why you would need a Y-adapter. Just run the sub out to the PS-8. I have mine plugged into the sub output on my equalizer. The equalizer splits out the sub vs non-sub frequencies and I need something to put the bass back into my system. After a little tweaking, it sounds great. What gauge power wire does it come with? Thanks for your question. It comes with 17 ft of 10-gauge power wire with in-line fuse holder. You'll find this information on the product page details tab under "What's in the box". Hope that helps. Has anyone combined this unit with a factory Bose system in a GMC truck? To answer your question, yes (Chevy Silverado, same factory Bose). But I offer this advice, do not expect this unit to be "loud". BUT, it is a great unit to add to the factory bass that the stock Bose speakers produce by themselves. However, I found that placement is everything. Under the driver seat is a great place to start; if your truck is an extended cab, under the back seat on the driver side is a good place too. Depending on how handy you are, best place I found was behind the back seat in my extended cab, mounted flush against the back of the cab. I hope this helps, enjoy the music. I don't have the factory Bose system. Trust me get it! You won't hear you coming down the street but it sounds fantastic inside the truck. My wife's not a huge bass fan but says I was right to install this unit. 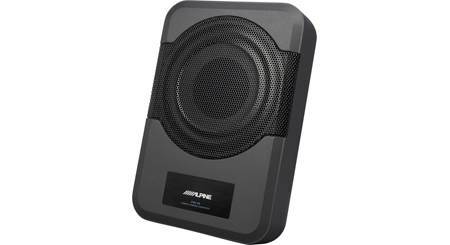 Which 6.5" speakers work best with this subwoofer ? How do I securely mount this under a seat? If you purchased the product from Crutchfield, feel free to contact our Tech Support team. They can walk you through installation of the product . Our toll-free Tech Support number is printed on your invoice, and is also available under the "My Orders" tab in the "My Account" section of our website. If you did not purchase the unit from Crutchfield, then you may want to contact the manufacturer. 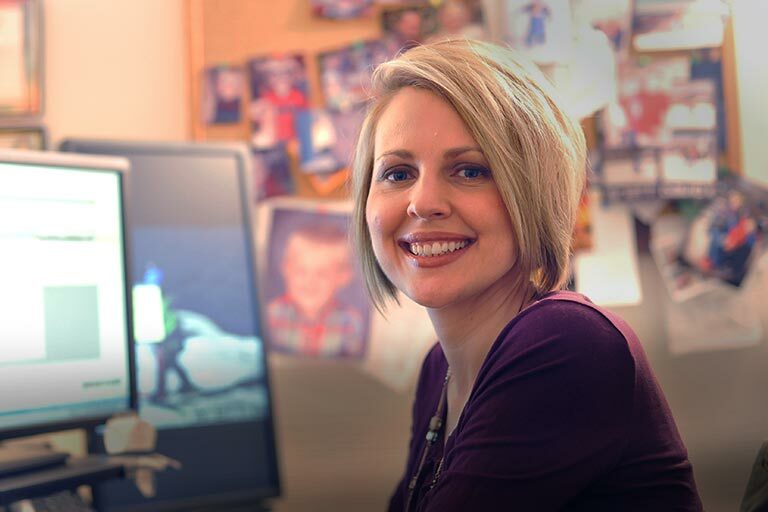 You can also post your question in our forums: http://community.crutchfield.com. Or try our online support center: http://crutchfield.custhelp.com/app/answers/list/kw/. I am wondering if this fits under the seat of a 2006 Nissan Murano? Can this be wired through the pass through of another amp? It likely will work with the pass through of the other amp for signal, but that will depend on the output of the other amp. As long as the pass through is full range you should be good to go. I would recommend reaching out to an Advisor by phone (1-800-324-9695) or online chat to confirm. They'll be able to take a look at your current amp, and make sure this one will work with it. 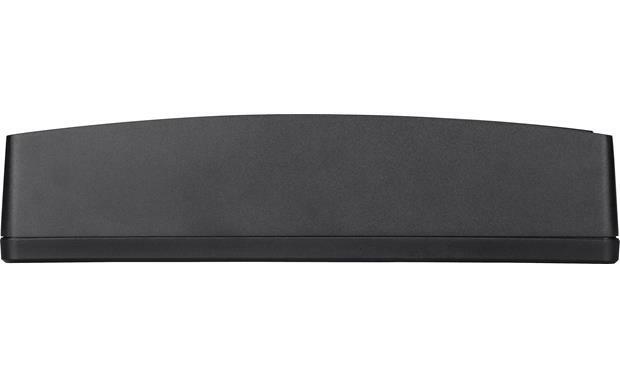 Which receivers work best with Rockford Fosgate ps8? I have a 2013 Scion FRS , will this fit under my passenger seat? You'll just need to look at the dimensions of the PS-8 and then check under your seat. I don't know anything about the Scion. You might have to pull the seat if there is room under it but you can't slide it through the front or back. This unit isn't too tall, but I do not have any idea what amount of space that you have. I would call Crutchfield for an answer. I installed this in m 2015 Honda Fit, it wouldn't fit under my passenger seat and had to put it in the back. Best thing to do would be to make a duplicate out of cardboard using the dimensions listed and test fit it in different spots. Will this fit under the seat of my Yukon Denali (either front passenger seat or 2nd row bucket seat? can the self contained PS-8 be wired to a cord that turns off with the key, or does it have to go directly to the battery? 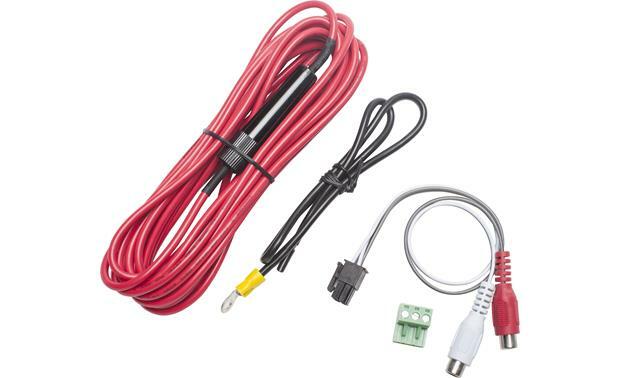 The red power wire should be wired directly to the battery with the inline fuse to provide high current and to avoid noise and interference from the rest of the car's electrical system. The blue wire is for the remote turn-on and ususally connected to the head unit. Check the installation instructions for additional options for the remote turn on. IF the PS-8 power wire is switched, sound quality may be compromised. Wire it direct to the same (+) as the deck, black to a local ground. Connect blue out of the deck to blue on the PS-8 wire harness. It'll kick on/off with the deck, which is theoretically wired to the ignition. Searches related to the Rockford Fosgate PS-8 Punch Series powered 8" subwoofer.